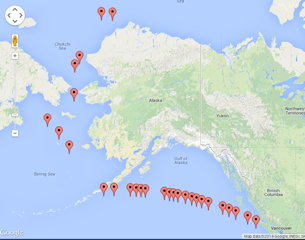 In addition to the citizen scientist sampling network that is under construction the other pillar of the InFORM project is the collection of samples in the open North Pacific and Arctic Oceans. 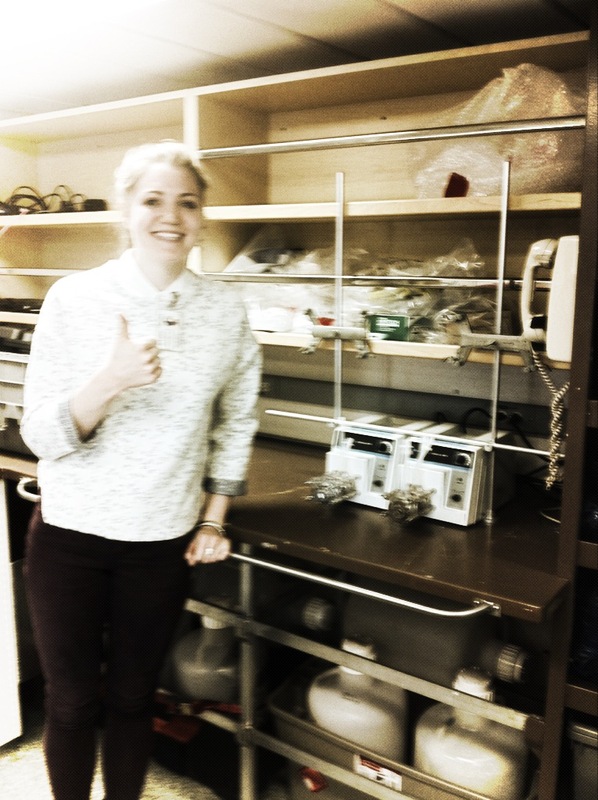 The first samples for radionuclide analyses were collected by University of Victoria undergraduate student Kathryn Purdon on the first leg of the icebreaker CCGS Sir Wilfrid Laurier’s annual operations in Canada’s far North. The goal of our sampling program was to obtain a detailed information about the location and intensity of the Fukushima contaminated plume of seawater by collecting seawater across the northeast Pacific from Victoria to Dutch Harbor, Alaska and up through the Bering Strait in the Chukchi Sea in the Arctic Ocean. Surface water samples collected for radionuclide analysis July 5-22, 2014 on CCGS Sir Wilfrid Laurier. 60 litres of seawater was collected for each sample and processed to concentrate radioactive elements for subsequent detection by gamma spectometry. 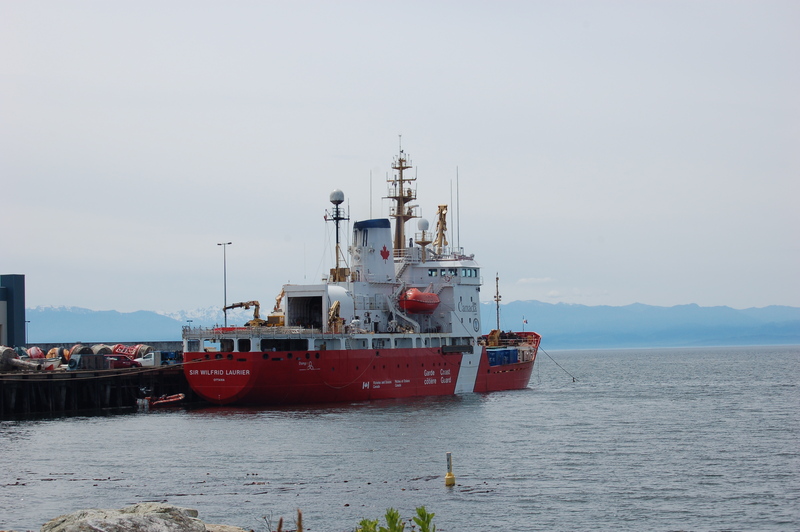 CCGS Sir Wilfrid Laurier at dock CCG base Victoria, BC. Samples are currently on the way to the laboratory for analysis. The InFORM team acknowledges the support of Fisheries and Oceans Canada, Canadian Coast Guard and chief scientists Dr. Svein Vagle (Fisheries and Oceans Canada) and Dr. Jacqueline M. Grebmeier of the Chesapeake Biological Laboratory and the Distributed Biological Observatory for inviting us to join the expedition.